After the red wine craze, new drugs hold more promise to fight the effects of aging. Will a pill someday be able to prevent some of the most debilitating effects of aging, including cancer and diabetes? It’s not as far-fetched as it sounds. A team of scientists has developed a novel class of drugs aimed at doing exactly this, according to a study published in the Nov. 29 issue of the journal Nature. These drugs have been shown to improve the metabolism of obese mice, allowing them to stave off obesity-related diseases and live longer, according to David Sinclair of Harvard Medical School. However, these therapies have not yet been tested in humans and may be a long way from pharmacy shelves. “The goal is to keep people healthy for longer,” says Sinclair, the founder of Sirtris Pharmaceuticals, the company that is developing the drugs. These new drugs are designed to mimic the effects of calorie restriction. In mice and in people, cutting calories not only prevents diseases, it also extends lifespan, says Joseph Baur, a pathologist at Harvard who is researching the biological mechanisms of aging with Sinclair. However, for such a diet to be effective, people would have to give up one-third of their daily consumption of food – quite a difficult task for those already struggling with treating type 2 diabetes and obesity. Enter Sinclair’s drugs and the naturally occurring compound that inspired them: resveratrol. Found in grapes and red wine, resveratrol mimics the anti-aging effects of calorie restriction even in animals that keep eating high-calorie foods. In a 2003 study, Sinclair and Baur showed that obese mice fed a high-calorie diet plus resveratrol lived longer on average than other obese mice – either by preventing diseases of aging or increasing lifespan. Previous studies have shown that resveratrol can extend the lifespan of worms and flies by up to 40 percent, and yeast and fish by almost 60 percent. Despite its success in simpler organisms, resveratrol is probably not powerful enough to have the same effect on humans, experts say. Resveratrol’s capabilities, however, are what have led Sinclair and other researchers to design drugs that act like resveratrol but are much more powerful. “We have tested about 3,000 molecules,” says Sinclair. “These molecules are heavily improved through chemistry” to make them 1,000-fold stronger than resveratrol, he adds. So what is the secret to the health benefits of calorie restriction, resveratrol and the new drugs? Research strongly suggests that it is their ability to activate proteins called sirtuins, or specifically SIRT1 in humans. Sirtuins are critical enzymes because they regulate several key processes associated with aging, including glucose and insulin production, fat metabolism, and cell survival. When activated, sirtuins can enhance these functions to help prevent the onset of diseases like obesity, diabetes and cancer. In the 2007 Nature study, Sinclair showed that by activating SIRT1 in obese mice, the drugs were able to improve insulin sensitivity, lower glucose levels and increase the capacity of mitochondria, the cell’s powerhouses. Sinclair’s drugs, called SIRT1 activators, will initially be targeted at patients with type 2 diabetes. The hope is that these drugs will decrease glucose levels in diabetics, says Sinclair. Some other experts agree that resveratrol, and drugs that mimic it, appear promising. “I have seen up to a 40 percent extension of worm lifespan myself [with resveratrol], so I have no reason to expect humans to be the exception,” says Coleen Murphy, a molecular biologist at Princeton University who studies longevity and aging. However, not everyone is convinced that the benefits will apply to humans. “Where is the data in patients?” asks Bharat Aggarwal, co-author of the book “Resveratrol in Health and Disease” and a cancer researcher at University of Texas. “Not a single human clinical trial has been completed yet” for resveratrol or the new, more potent drugs, he says. Despite the lack of conclusive data, extensive media attention surrounding Sinclair’s previous studies has helped create a booming market for resveratrol products even before their effectiveness has been verified in humans. In the year after Sinclair reported his initial findings in November 2006, sales of resveratrol supplements, made from red wine extract, grew by more than 300 percent. In a four-week period after the same 2006 report from Sinclair, wine sales increased by 8.3 percent compared to the previous year, according to ACNielsen, which tracks wine sales in stores. Even Sinclair agrees that the publicity has created a misleading portrait of the possible benefits. There is not enough data yet for Sinclair to predict exactly how many years the new drugs will extend human life. “People might end up living longer in a healthy state, but I don’t think people will be living an extra hundred years,” he says. While the Harvard researchers believe in the potential of these drugs, they don’t want them to replace other aspects of healthy living. “People are always looking for a shortcut, but I think it would be very dangerous for people to get the idea that they could be ‘immune’ from the effects of obesity and a sedentary lifestyle,” Baur says. Preliminary trials of the new drugs in diabetic patients will begin at the start of 2008, with results expected in less than six months, says Sinclair. By 2012, he hopes to have a diabetes drug approved by the Food and Drug Administration and available to the public. Resveratrol drugs are also being developed by other institutions for cancer prevention. Early clinical trials by the National Cancer Institute are looking at cancer prevention in healthy patients, while a 2007 study at University of California, Irvine is testing how well resveratrol can treat colon cancer. In the UC Irvine study, researchers found compelling preliminary data that resveratrol blocks a signaling pathway known as the Wnt pathway, which is activated in over 85 percent of colon cancers. There are no results yet from these trials. Despite all the work being done to design drugs that activate sirtuins, other studies indicate that sirtuins are not the only way to prevent diseases of aging and increase longevity. Researchers have discovered that mice lacking a gene called p63 – which is also present in humans – age much faster than mice with the gene. Premature aging has also been identified in mice deficient of a hormone called Klotho. A team of scientists have over-expressed Klotho in mice, increasing their lifespan by 19 to 31 percent compared to normal mice. Discover why diabetes drugs might also treat Alzheimer’s. Find out how global warming may affect wine production here and here. Resveratrol is the active ingredient in red wine that helps explain the “French paradox,” namely that the French typically eat a diet quite high in saturated fat, yet suffer a low rate of atherosclerotic heart disease. Resveratrol appears to work as a powerful antioxidant helping quench free radical damage in the body, but also has a unique mechanism of action that may prove to have significant life extension properties. Resveratrol also appears to protect DNA from free radical damage and can play an important role in protecting cells from malignant transformation. 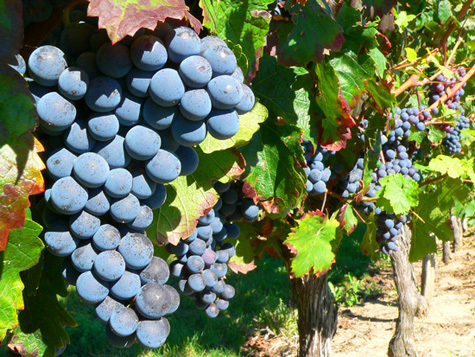 The compound resveratrol has shown interesting neuroprotective properties in clinical trials. Drs. Anderson and Setia reported in a January paper that of 14 patients given biotivia transmax, an extract of red wine used by researchers, 12 either showed marked improvement in memory and motor skills or had their disease arrested. Resveratrol works by activating the human Sirt 1,2,3 genes much like caloric restriction does. Sirtris pharma is developing a synthetic version of transmax which it intends to have on the market in five years. In another study by Dr. Sinclair of Harvard published in the journal Nature in November transmax was shown to increase the life span of obese mammals by 31%. Resveratrol not only boosts your immine system, which can help protect you against various diseases but it modulates blood sugar, lowers cholesterol and increases your sense of well being. It appears that the United States Governement is upset about your advertising and marketing tactics as well. On a lighter note, one of the ironies that I find on this topic is related to human nature. One of the hopes is that sirtuins can be targeted to allow people to overeat without consequence. Now a new study indicates that smoking destroys sirtuins, which can be linked to respiratroy problems. So what we may have here is the potential for humans to continue their well recognized bad habits of overeating and smoking and hope that a little sirtuin activator pill will solve all their health issues. Its a sad commentary that finds so many humans lacking the will power and sensibility to avoid the bad habits that are known to be detrimental to their health. Anyway, as immortality is expensive, I have set up a blog that attempts to cover this subject from an investment perspective and provide a place where individuals can do their own due dilligence http://sirtuininvestor.blogspot.com/. Resveratrol may well be one piece in the puzzle of living longer. However, more people would do better to focus on simple markers which are known to shorten life for very many. Identifying indications like these – where present – would stop many thousands dying early. Resveratrol can be considered once primary factors of aging – such as these – have been dealt with. I don’t think rubbing that maekup on your? skin is good for it, I also think your foundation is making your skin worse, try mineral maekup like Meow or everyday minerals or Illuminaire if you like liquid, stay away from petro chemicals and Silicones in cosmetics.